The Oakland Unified School District is exploring a revised school enrollment system that would improve interactions with families on the service end, and make the system more user friendly, accessible, transparent, and include Common Enrollment. Common Enrollment would allow families to fill out one application for all public schools in Oakland, district- and charter-run. Common Enrollment would give families the opportunity to research all public schools in one place, using their smartphones or visiting enrollment centers. Families would then be able to select the school that best suits their child’s needs. Families would rank their choices and then submit their application to the enrollment department. Provide clarity and more equity and access to families. 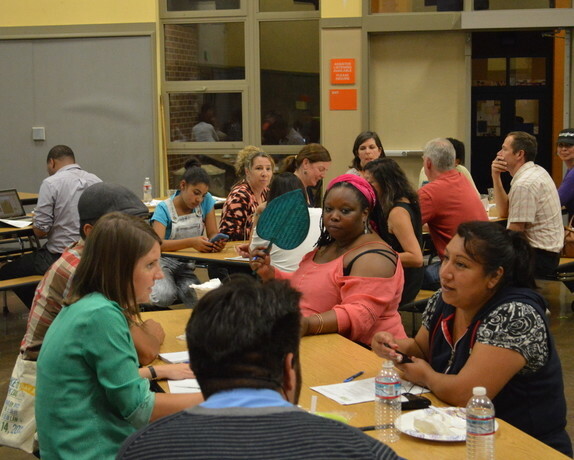 Parents hoping to understand the new system and the Common Enrollment portion gathered with GO Public Schools Oakland at Think College Now on September 24 to learn about the system, provide feedback, and ask question about the proposed change. Please check back with GO Public Schools Oakland as we put together an enrollment page that includes information on Common Enrollment, frequently asked questions about enrollment, and enrollment stories of families from throughout the city. If you have an enrollment story that you would like to share, please contact GO’s Communications Manager, Bobby Jordan at bobby@gopublicschools.org.